Home ⎢Only thirty vaquitas left in the world! Only thirty vaquitas left in the world! Today, there are about 30 vaquitas left in the world. Unless there is a miracle, it appears that the vaquita would be extinct in a couple of years. In light of the dire news, the WWF called for the Mexican government to ban all fisheries within the vaquita's habitat immediately and indefinitely, and to ensure that this regulation was fully enforced. The smallest porpoise in the world. 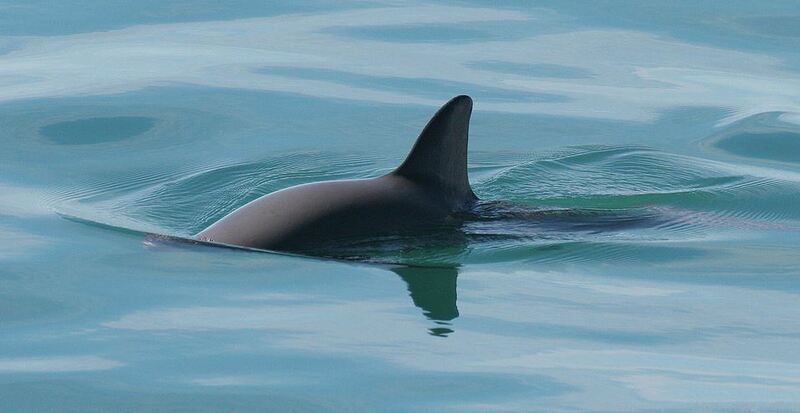 the vaquita is found only in the Gulf of California, in Mexico. It shares the waters with the totoaba fish, whose swim bladder is a popular delicacy in China. Fishermen covertly catch the totoaba fish illegally, using gillnets; and being of roughly the same size as the totoaba fish, the vaquita gets caught in the gillnets as well, ending up as bycatch. The WWF also called on the governments of US and China strengthen efforts to stem the illegal trade in totoaba products. It reiterates its commitment to continue working with the fishing communities to help them find alternative sustainable means of livelihood and promote the use of vaquita-safe fishing gear. Economics aside, it is virtually unimaginable that in this age of technological wonders, mankind would find it so tough to prevent the extinction of yet another animal species. And particularly this one, when the reasons for its impending extinction are so clear and preventable.